Thank you to all the men in the world who have been great examples to their children, loved well, inspired, disciplined and corrected well, led by example, and have deposited identity and life into their children. You are appreciated. The only perfect Father I know is our Heavenly Father. Don’t get me wrong, my earthly father is super stellar. He’s also human, he also only represents half of the nature of God. You see God is Spirit. We call Him Father rightly so, yet out of Himself He created male and female (Genesis 1:27). Our Heavenly Father is able to do what we traditionally consider what a father and mother would do and without sin. Therefore, He’s the perfect Father. Papa I speak life, love, and acceptance into every person without a Godly earthly father. I bind the orphan spirit. I release the spirit of adoption. I bind fear and insecurity and loose healing and love. I ask for identities rooted, deeply rooted in Christ. I bind every generational sin that may try to plague them. Holy Spirit come and break every chain! May they know the height, depth, width, and vast expanse of Your love. Overwhelm them today with love! Heal and restore. I loose a freedom to forgive every hurt and disappointment, in Jesus powerful name…amen. For those who’s fathers have passed away, lifting you up today. Our Heavenly Father never leaves or forsakes. He’s with you! He brings such comfort! I speak peace over your day. 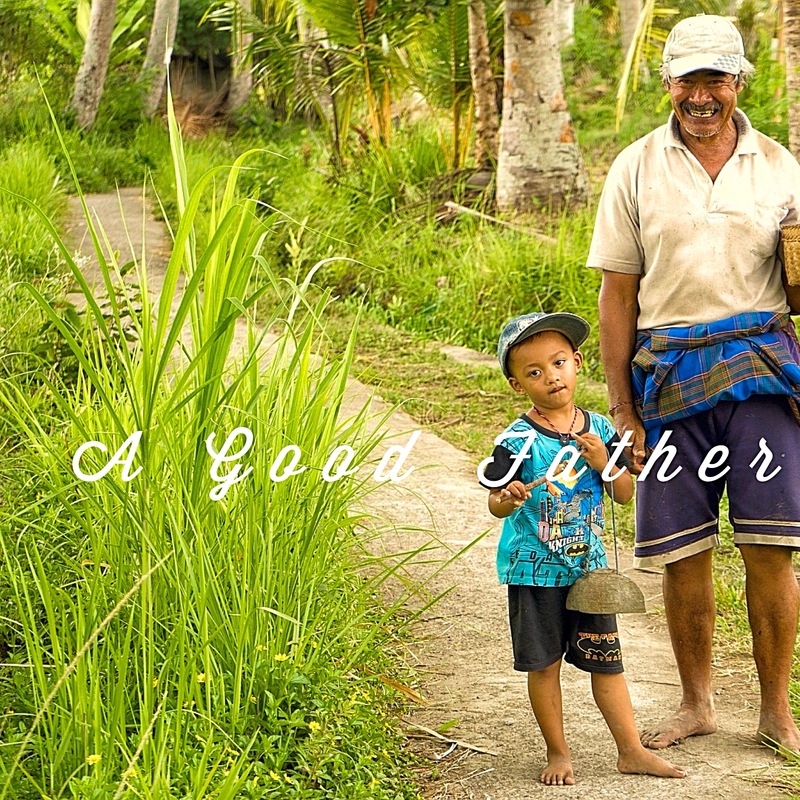 For the men without children, soon to be dads, or existing fathers, these are some things my Heavenly Father and earthly father taught me about this vital role in the family. A father loves well. It’s unconditional love that seeks what is best for the other person. It’s selfless love. It’s agape love. A father protects. He prays. His spiritual protection is so valuable. He doesn’t have to be the strongest man physically, he is strong in seeking the Lord for the protection of his family. My dad rises early every day to pray…like clockwork. A father provides. He provides a home free of control, bullying, strife, and chaos. He leads by being a servant. His wife and children know they have an advocate. He provides a place for God to be glorified. He places God at the center and provides a great example for his family by the way he lives and treats people. We didn’t grow up wealthy. My dad did make sure he provided a safe and stable place for us. He worked. He volunteered. He served. He cooked. He cleaned. He helped my mum. He took care of her when she was sick. He combed my hair (we shall burn some of those photos. Nice try dad). He provided a place where we knew he was for us. More than financial provision which society says is a man’s main contribution, I believe being present, contributing, providing leadership through serving, and investing in your family is one of the greatest gifts you can provide. Many kids have fathers who work non stop and have money, yet their children and wives don’t have them. A father provides identity. Our Heavenly Father gave us His name. There’s so much in a name. If you look around, the lack of identity has caused so many issues in our society. Mothers are so amazing. So are fathers. Fathers help establish identity in ways mothers cannot. Please don’t be upset with the messanger. God created men to express His attributes. This is one of those ways. If you’re a single mum, teach your son about God. Give him examples of Godly men if you can. Heavenly Father can do what humans cannot do. A good father has integrity and noble character. I cannot overstate this enough. He’s someone his son will imitate and his daughters will seek out men like him. He’s honest and faithful to keep his word. He’s dependable. A good father uses his words to build up, not tear down. He speaks life and blessing over his children. So many blessings are in scripture. Bless your wife and children. Words are powerful. Speak God’s words over them. A good father loves his wife! He’s faithful to her and the vows he made before God. She is his equal partner in Kingdom leadership. They may serve different roles at times, yet he does not treat her as a sidekick or inferior partner. He loves her as he loves himself. A good father is generous. Our Heavenly Father is so generous! It’s beyond comprehensible at times. Fathers love to give. I’ve seen this in my heavenly and earthly father. A good father corrects his children. He points them to truth and disciplines in love when they deviate off that path. If you’re a man and you’re saying, “Gosh those are big shoes to fill,” it’s true. Yet I’ve seen several men in my life get this right and their secret is they abide in Christ. They let the love of God flow through them and they allow the Holy Spirit to guide them. It’s not about perfection. It’s about abiding (John 15:5) and submitting to God. He has the Fathering thing down perfectly. He provides assistance to anyone who asks. You are so loved men! You are celebrated and appreciated!!! 🎉🙌🏼 Praying for and wishing for more great men in the world. Praying for you! You can not be replaced. You have a significant role in the Kingdom. We ladies want to see you succeed. We are cheering for you! I am cheering for you!